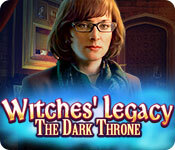 Witches' Legacy: The Dark Throne is rated 4.5 out of 5 by 12. Rated 5 out of 5 by Homeimps from A Pleasant Surprise I've tried probably all the game demos in this series and found that most were mediocre at best and downright silly at worst, so was more than pleasantly surprised by this one. 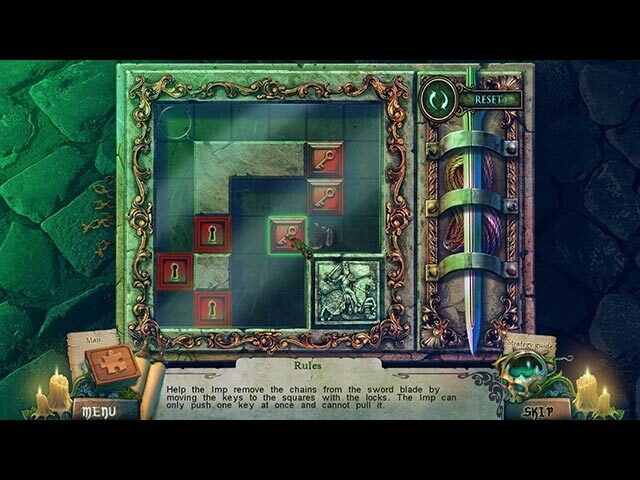 Being a big fan of puzzles, this game had a nice variety of them; most were quite simple but there were enough that really required some effort so I was a happy camper in that regard. The graphics were excellent and one of the best features was the music, which didn't play constantly but was beautifully added in at points throughout the game. My only complaint was the common one that a lot of players mention about games, and that is that even on the custom level, there was still too much help. I do wish that devs would reserve the custom level for us more seasoned players who mean it when we say we don't want a lot of hand-holding while playing. It was a decently long game and I did enjoy it from start to finish; will try some of the others again just to make sure I didn't miss something. Definitely recommend this game! Rated 5 out of 5 by ninja226 from Amazing game, amazing graphics, LONG game (SE) This is my 2nd Witches Legacy and I had so much fun. It seemed like the devs outdid themselves at every turn. It's good enough to be a movie. I didn't want it to end... I am impressed enough that I will be buying the CE versions of this series from now on. Buy it--you will not regret. Rated 5 out of 5 by xhelenabasketx from Absolutely delightful! I really had fun with this one. I have been enjoying the series and have not played them all so far but this was the best. Graphics and sounds were top notch. Mini Games were challenging and the IMP was just too cute. I will be playing this game again. Rated 5 out of 5 by denniann2 from beat morgana has a custom level. an interactive map. you play as edward and you are there to help lynn but she is taken and you have to find her. every time you get close a dark shadow takes her away. lynn has morgana's power and now morgana wants them back and is planning on crowning lynn the evil queen to get back her powers because then lynn would be morgana's servant by accepting the crown and morgana would rule. lynn knows she is under a spell and she is fighting it but it is overtaking her. edward needs to help her to fight. sequel..of course. Rated 5 out of 5 by siliobarber from Definitely a winner Dark Throne captures your imagination from beginning to end. The HOS show creativity and differ one from another, which is a plus. The game doesn't show any of the laziness that is prevalent in many of the games, where you can anticipate what kind of minimal challenge you can expect. One of the better ones lately. Rated 5 out of 5 by pennmom36 from Following In Queen Morgana's Footsteps Lynn was born with magic, good magic. Queen Morgana desperately wanted these powers on her side, the dark side, so she had her servant Elizabeth kill Lynn's entire family. With no blood ties, Lynn would surely join her, but wait! There is a distant relative and Carrie took Lynn in and raised her as her own child, and the Imp, who used to be Lynn's pet dog! With Carrie's help, Lynn defeated and killed Morgana, but Morgana had one more trick up her sleeve. Will Lynn turn to the dark side after all? This episode of Witches' Legacy is played and narrated by Edward Watson who is Lynn's husband, I'm not thrilled with that aspect, but it's still one of my favorite series. One of the coolest features this game has to offer besides the wonderful graphics, is that almost everything can be interacted with, especially the magical flowers that put on a fantastic display whenever you click on them, The Imp is back, once Lynn's family dog, now a comical Imp who is ready willing and able to help you at a moments notice. (with some props of course) You can click on him as well and watch him ham it up for you as he entertains you and himself! You are equipped with a Glass of Truth which lets you see the "real" image of the characters you meet along the way, and creates something they favor. If you choose the Collector's Edition, there are Achievements to earn, and 35 Morphing Objects available. There are also 36 Collectible Puzzle pieces that can be pieced together in a jigsaw puzzle that will create 4 different Wallpapers when finished. 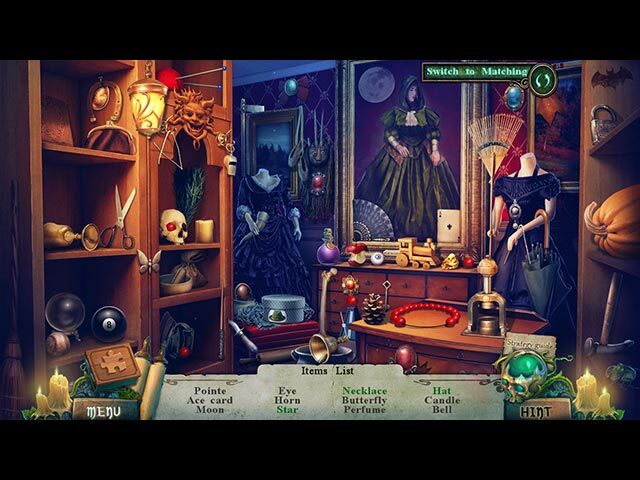 The Hidden Object Scenes are interactive list finds, after finding 4 silhouetted shapes to uncover the list. Each item that is found usually reveal fragments that form a picture or necessary inventory item, and you can opt for an alternate Matching game where you flip over two cards at a time to make a match of identical items. There are 29 Mini Games, ranging from simple jigsaws to repeating the sequence of feathers lighting up with a specific color pattern. The Collector's Edition has 9 Wallpapers, 9 Art Gallery pictures, 3 Screensavers, 6 Soundtracks, Achievements, 36 Jigsaw puzzle Pieces, 35 Morphing Objects, a built in Strategy Guide and a Bonus Chapter, so get your Witches' Legacy game on and enjoy! Rated 5 out of 5 by kateblue222 from CE or SE, definitely buy one to the other. You will love this game. As I said when I reviewed the CE, this game pulled me right in and did not want to let me go. This story is related to five previous games, but I have not played them, and it doesn’t seem to matter. At a museum opening, talented witch Lynn is snatched away, and her husband Edward is left to rescue her. Other reviewers describing the CE have have described the features of the game better than I can, so I won’t. Usually, when I am reading reviews after the SE comes out, I am trying to decide whether to buy the CE or the SE. I have not finished the CE though I bought it. It does not have replayable games and HOS which I think a CE should have. But it has something called “puzzle” in the “extras” menu, which I am looking forward to. Apparently, if you solve this puzzle, you get more gameplay. So I am not sure if this is a bonus chapter, or what. And then it has the usual wallpapers and soundtrack and so on. The real reason I bought the CE is because I couldn’t wait to play the game more. You don’t have that problem, you can just buy the SE. So if you don’t want to pay the CE price, then you should definitely buy the SE. This is a great game. Rated 5 out of 5 by skullfun from Witches Legacy The Dark Throne left me spellbound, it's Fantastic! This is the 6th installment of the Witches' Legacy Franchise. In this edition you play the role of Edward "Lynn's husband". I was thrilled with the reversal since I am male and tire of always being in the feminine character. This time Evil Morgana curses Lynn and her mother Carrie and you have to save Lynn from the other side and cleanse the world of evil. Not an easy task in the least. Appearances made by some of your favorites, both friend and foe include.... *Imp "who helps you 14 times" *Wolfgang *Elizabeth "Wolfgang's sister who was changed to a witch in one of the first installments" *Mathias the Evil Warlock *Thetis Evil Witch *Morgana Queen Witch The gameplay is incredible with awesome graphics, and excellent sound/SFX.The back story of the series is revealed nicely as you go, so even if you haven't played any of the previous games, you don't feel like you're missing anything too important. I have all 6 of these releases, someday I will binge play all of them. This one really exceeded my expectations! Rated 4 out of 5 by Yanie1020 from Lots of Good Things But Didn't Quite Do It This is a difficult one to review. Some things really blew me away, but others didn't make a lot of sense. Just when I'd start thinking it was a great game the developers would throw in something that was kind of silly. Quite a few puzzles, which I really like, graphics were good, voiceovers okay, and I even liked the HOS's. Music was fine. A decent 4-star game. Rated 4 out of 5 by PATinPNS from The New Queen Arrives This is posted after playing the entire game. This is going to be a difficult post for me. I so much wanted to like this game for no other reason than there was a male lead for a change and I didn't have to dig into the closet for my high heels again. However, I have to say I was a bit disappointed in the game. It just wasn't as much fun as the previous games in this series. The explanation will follow. The graphics and sound were excellent as usual. Voice overs were well done and the music was fine and went along with the story. Effects were also good. The level of challenge was definitely high for me. 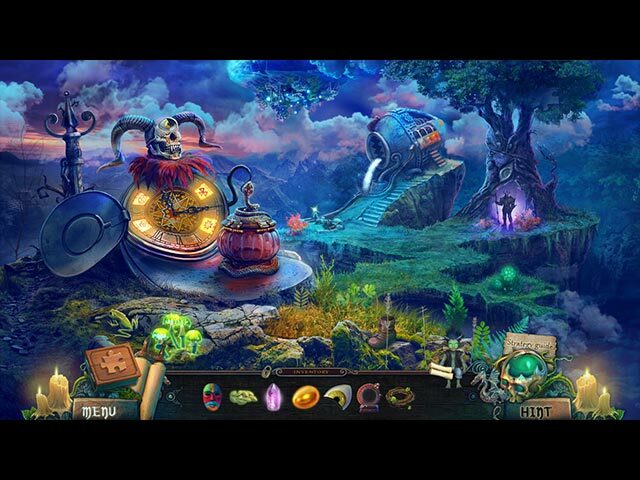 While the hidden object scenes were clear, they had them well hidden. There were several different kinds of hidden objects within one scene. Kept me interested. Then there was my nemesis ... the dreaded mini games. Those kicked my behind. Most I couldn't figure out what to do and so didn't have any instructions. Yes, I am thankful the skip button charged quickly. I guess I just don't have the patience or will to sit here and try and figure them out. I try them all, but didn't complete very many. There is an interactive map which transports and does show you where there are things to be done. I'm thankful for that, because there is a tremendous amount of jumping back and forth, perhaps too much back and forth, but I would hate to have tried it without that map. The biggest problem I had was with the story. It seemed to jump around from thing to thing and at times just made no sense. All the other games in the series were well written, but either there were new writers or I missed something along the way that made it lose it's context. I will be playing this again soon and will see if that was the problem or if it is just a bad story line. All in all it is an okay game. I do believe it could have been better for the reasons mentioned above. I know this seems to be a negative review, but it is a good game and I think you should give it a try.